[Weekend Poll] Should App Developers Ignore Bug Reports From Users Running Modified Firmware On Their Device? A discussion on Google+ started yesterday by Yahooer (and former Nexus device maintainer) JBQ about modified firmware and app bug/crash reports has started something of a debate: should developers actually heed crash and other logs from users with things such as modified frameworks, or even custom ROMs? 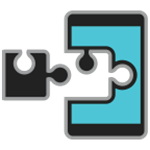 On the extreme end of the spectrum, the popular Xposed module allows you to heavily modify the behavior, appearance, and other aspects of the Android OS. It also unabashedly is a source of compatibility issues in some third-party apps, because it can change, add, or remove things that third-party apps simply aren't going to account for. And without detailed reports from an affected device, developers can be left with almost no practical recourse in terms of fixing these problems - it would be quite difficult to simply guess which combination of modules and settings in said modules the phone is running. Developers are also obviously going to run into users with custom ROMs as part of their debug efforts - even as the need for them is generally considered to be decreasing, they remain very popular on Android. Even if a user hasn't done something like add the Xposed framework and installed a bunch of modules, a small change in a single, obscure custom ROM used by a few thousand people could potentially be the source of dozens of bug or crash reports. And the only way to fully explore that bug may be to acquire the affected phone and flash the ROM - not a trivial task. The issue, if that's not clear, is that a minority of users may generate not only practically unfixable but also highly specific bug and crash reports, and that's obviously a headache for devs. So, what's your opinion? Should developers ignore reports from users running custom firmware period? Should there be a middle ground? Should they ignore no "valid" (eg, legitimate) crash or bug report whatsoever? Should app developers generally ignore bug / crash reports from users with modified devices? Yes - modifications are simply too much for developers to account for on top of the many devices already out there. Somewhere in the middle: popular modifications should get support, others should be ignored. No - developers should never ignore a legitimate bug or crash report, no matter what the end device runs.